Firstly, it should be needless to say that it is impossible to reconstruct an entire hypothetical ancient animal based on a few teeth! 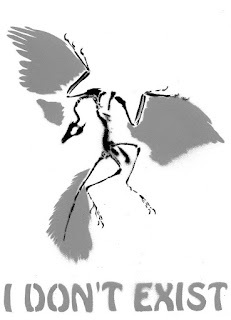 But even more importantly, it is dubious that a myriad of ancient reptile/bird and reptile/mammal transitional forms necessary for the blossoming theory of evolution, would be hypothesized and then conveniently “discovered” by teams of evolutionist archeologists purposely out looking to find such fossils! 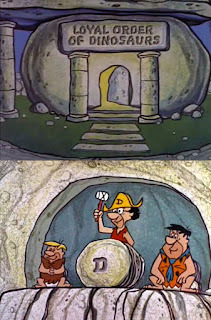 And it is even more dubious that such fossils have supposedly existed for millions of years but were never found by or known to any civilization in the history of humanity until evolutionism’s Masonic renaissance in the mid-19th century! When “dinosaur” bones are transported and prepared they use strips of burlap soaked in plaster to jacket over the fossils. Then after applying a tissue separator to keep the plaster from direct contact with the bone, the soaked burlap strips are laid on until it is totally encased in a protective mummy-like coating ready for safe transport. 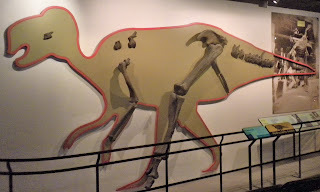 In an article titled “A Fossil’s Trail From Excavation to Exhibit” one insider remarked that, “Through moldmaking and casting we can totally fabricate limbs, ribs, vertebrae, etc., for the missing pieces of an articulated skeletal mount. Plaster, fiberglass and epoxies are often and commonly used. In reconstruction work on single bones, small to large cracks can be filled in with mache or plaster mixed with dextrin, a starch that imparts an adhesive quality and extra hardness to regular molding plaster. We’ve also had success using epoxy putties. 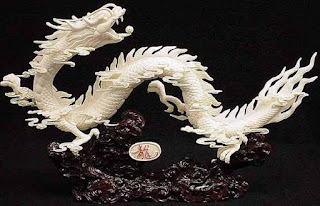 Large missing fragments can be sculpted directly in place with these same materials.” In other words, Museum personnel work with plaster and other materials to transport and fabricate skeletons and missing or incomplete bones all the time. 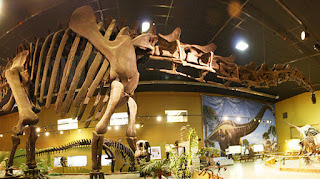 In fact, the huge “dinosaur bone” displays found in museums across the world are admittedly carefully prepared fakes! 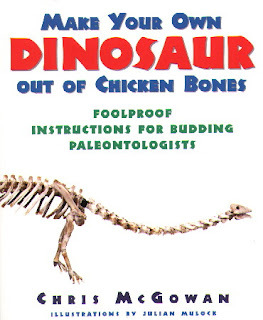 No independent researcher has ever examined a real dinosaur skull! They claim all the actual fossils are kept in high-security storage, but only a select few paleontologists are ever allowed to examine them, so the ability to ascertain their authenticity is kept from the general public. 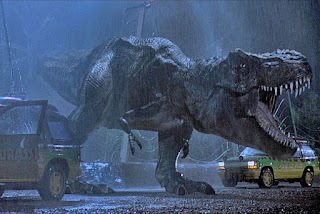 Another problem with dinosaurs is their unnatural structural dynamics. 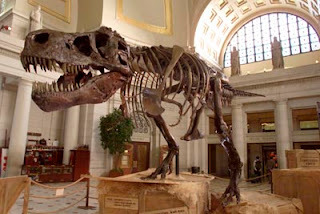 Many dinosaur skeletons and reconstructions feature bipedal monsters like the T-Rex with a forward-leaning torso and head far larger and heavier than its counter-balancing tail. 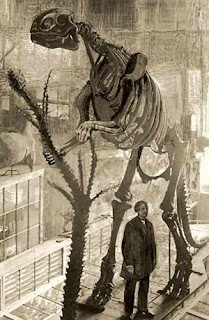 Many museum displays cannot even stand up under their own weight; it is highly unlikely that beasts this large and disproportionate could exist at all. 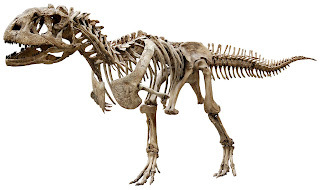 The loads acting on their skeletons are so great that calculations indicate the bones of the largest dinosaurs would buckle and crack under their own immense weight! 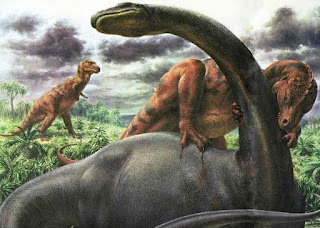 Experts have also pointed out that dinosaurs would have to have moved much slower than portrayed in movies to prevent sudden shocks to their skeletons. 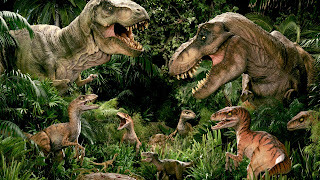 Dinosaurs are presented to the public with colorful artistic reconstructions, drawings, models, mannequins, gigantic skeletons in museums, cartoons and movies showing these beasts in explicit detail, but the fact is from the assigning and arrangement of bones in each species, to the impossible to discern soft tissue, skin, eyes, noses, color, hairyness, texture etc., just like the many supposed Ape-Man species, all dinosaur reconstructions are 100% fictional fabrications created by invested and inventive evolutionists. 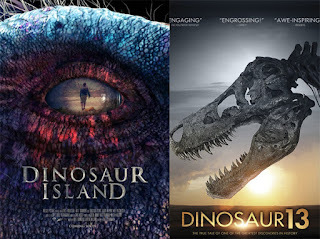 They purposely present dinosaurs to children in the media to spark and bias their young imaginations towards their machinations. 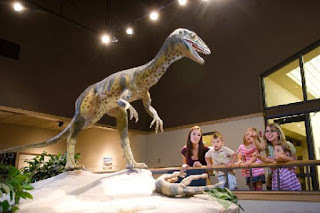 Cartoons like “Ice Age” and “The Land Before Time,” movies like “Jurassic Park” and “Dinosaur Island,” coloring books, dolls, plastic toys, elementary school textbooks, and huge displays in children’s museums certainly have an effect on budding young minds. Even if dinosaurs did evolve into birds to fill their evolution gap, it does not explain how something like the common housefly could have evolved. 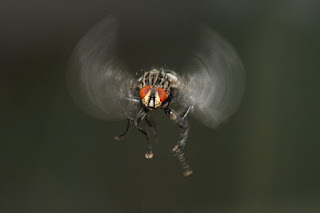 Flies flap their wings simultaneously 500 times per second, even the slightest dissonance in vibration would cause them to lose balance and fall, but this never happens. How could they “evolve” such an amazing and specialized ability? 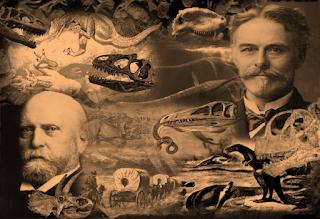 Why were dinosaurs never discovered before the evolutionist renaissance in the mid-19th century? Why do paleontologists think they can reconstruct an entire species of ancient animal from a few teeth? 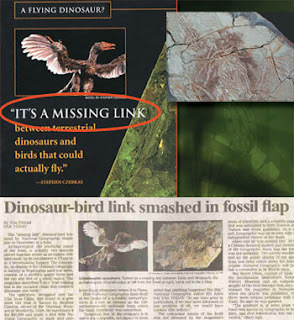 Why have so many dinosaur “discoveries” turned out to be hoaxes? 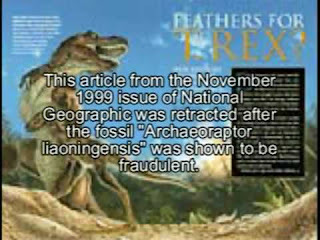 Why are all “authentic dinosaur fossils” kept under tight lock and key away from any independent analysis? Why has erosion and weathering not destroyed all these supposed prints and fossils that are allegedly millions of years old? If dinosaurs were supposedly wiped out by a meteor impact or other such global catastrophe, why is it that all the other various animal species that exist today were not similarly wiped out? There are many more questions which need to be answered before anyone in their right-mind should consider the existence of dinosaurs anything but a convenient evolutionist myth.